Phở Networks is an open source framework to build graph apps. 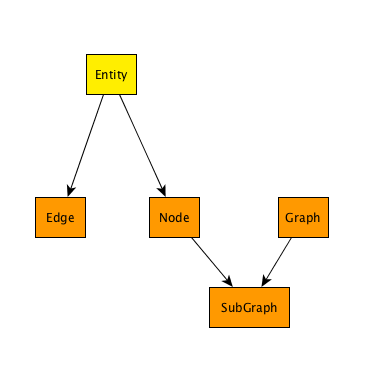 Graph apps are based on the archetypes Actor, Graph, Object. You may extend them for a completely custom social networking experience. The stack is designed to be infinitely scalable, event-driven, and extensible . Graph apps are by definition difficult to break down into shards using relational databases, therefore it is extremely costly to scale a fast-growing graph app. Built with portability and scale-out in mind, Phở Networks apps can run on web, desktop, mobile, IoT (internet of things) & embedded platforms, and serve just a handful number of users or billions using open source software and commodity hardware. A blog or news web site (with different actor models such as readers, authors, editors, contributors). A macro social network like Facebook, instagram and Twitter. A wiki for the game World of Warcraft. A micro social network like a Yahoo Group that connects stock Chevrolet and GMC truck fans in the US. A meetup that connects Python developers in Istanbul, Turkey. A mobile health/fitness app that ranks your activity and calorie intake amongst your friends. A mobile game that ranks your activity/score among your friends who play the same game. A multi-player console game that matches you with other gamers in real-time. The applications of social-enabled apps are limitless. The bottomline is that any app that touches humans and help them interact are social-enabled by definition. While designing Phở Networks, our aim was to build a truly infinitely scalable open source fully extensible social backend. The biggest challenge was database. Today's popular databases such as MySQL are hard to maintain with growing traffic and millions of daily active users. The answer to these problems are (a) to shard your data (b) to switch to a NoSQL solution. Although sharding data is tedious and expensive, and NoSQL solutions are notoriously yet to standardize and stabilize. In response, inspired by FriendFeed founder Bret Taylor's schema-less MySQL blog post, we chose to create a stack that would be built upon stable technologies and use atomic methods to establish a horizontally scalable platform to handle any workload. At Phở, our default choice of stable keeper of truth has been Redis. Although this and all of our choices can be adapted to your platform of choice using custom adapters. For indexing, we use Neo4J. For event-driven messaging, we use ZeroMQ. The platform itself is therefore clusterable to an endless number of machines using round-robin DNS techniques and high-availability solutions that continuously listen for service heartbeats. While this is too many open source technologies to digest, we've made it easy for you to get started via Vagrant and docker images. Pho-Kernel is a first of its kind backend. It is not a database but it is closely coupled with Redis, a proven distributed persistable in-memory storage service. Moreover, Phở stack gives you a familiar programming interface for graph-type relationship models that are in heavy use with social-enabled apps. Phở Networks allows you to extend these abstract entities with your own, and create a new social network, or use one of our existing recipes to replicate well-known solutions for your own domain-specific community needs.